I thought that looking into finding some external work would help me toward up skilling but also giving me a bit of a confidence boost by socializing with different individuals working towards the same goal. After looking into what projects were available out there, I was able to find a group who were looking for someone to help in regards to 3d modelling who is able to help them model their project and help it come to life a little bit. Without jumping too much into the project, it is basically a fantasy RPG game with a twist. Talking with one of the individuals on the project, I was tasked to have a play around with modelling a character one of the guys had drawn. 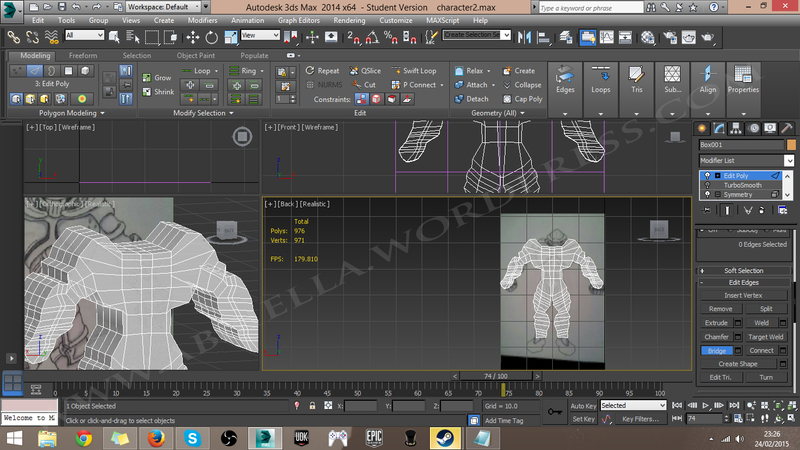 This was my first proper attempt at modelling a character but here is the result so far. I found it really helpful and I managed to learn a new thing or two so I really recommend checking it out. Now to continue with the project and i’ll keep updating once I’m at a turning point with my character to show my progress at different points. Feel free to post any comments or suggestions on where I can improve or what I could look at to help, as I said character modelling is new to me so advice is welcomed! ‘System is the one asking them what they did’ this is to avoid cheating as it’s a personal game for self-improvement. Although, in order for the app to be effective the user must be honest in order to really get the ‘reward’ from the system, which is to find a job. Considering flow for my app, I need to match an individual’s skill level to what they want to get out of the game as each individual will be working at different levels e.g. someone who is looking for their first time job opposed to someone with work experience who has been job searching for 6 months. The reason for this is too make sure the app continues being engaging rather then for the user to use the app for 2 months and get bored. I could keep player engagement by creating daily activities or sending out motivational text alerts to anyone who has the app installed and congratulating them on their achievements. I need to research into how people go about looking for a job so that other tasks can apply within my app rather then the user having to solely use the app. This means I will need to look into how someone typically goes about applying for jobs, and I should look at a range of individuals so that I can cater to most peoples needs. 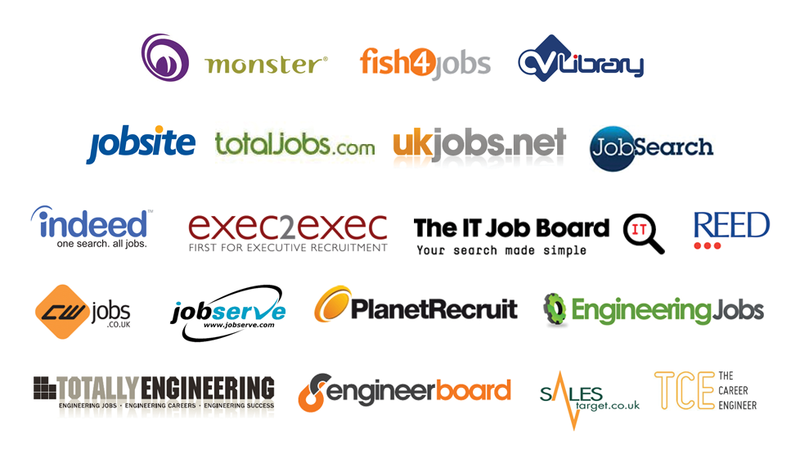 I have researched into a few job websites but the apps pretty much are the websites but in a more concise way, which is expected from an application. Hopefully with the use of the share option of my possible app idea, the app will have the ability to become popular and hopefully will help more people. So, now for a more simplified version of my app breakdown. The point of my application is to use game mechanics commonly associated with RPGs and apply these to individuals who want to search for a job and for those who may find the task a bore. Although my app is aimed at this market, doesn’t mean that it wouldn’t be useful in other markets for example someone who is looking for a second job may use the app to help them when trying to find another job and would still have its usefulness. When presenting my idea earlier today, It was mentioned about me maybe considering the app for people who are still in work after they have got the job. I think I would add a small feature for this, maybe title it ‘Months of service’ and then give out small rewards for example every year they keep the job such as discounts to particular stores or sending out a congratulations email when they achieve the job. From what I know, it’s the only job search app which has gamification applied with RPG elements. The only one I could find being directed at hull. The only one which has customizable characters. 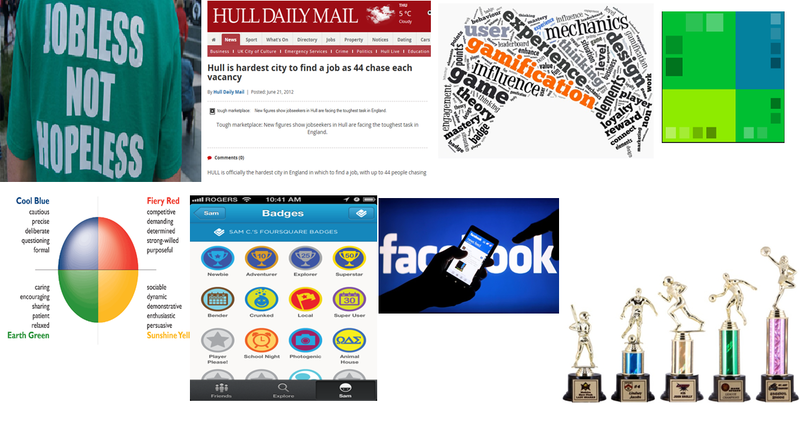 The only things I could find about gamification within work/job area was gamification being applied once you have a job, rather than helping you find a job. This will be a free app as those who are looking for a job will most likely be living on a limited source of income. Too sum up this moodboard, I wanted to make the individuals feel motivated so by using a particular colour scheme which creates that kind of mood it would only benefit the app. By looking at rewards and ways to show them, it will help the individual gain a sense of achievement and having a way of showing their success to others, using media such as facebook or twitter, could help them feel more motivated and help others feel inspired to keep trying for work. I have been using Paletton to help me develop my apps colour scheme but have also been looking at colour psychology to help me work out which colours would be more effective and to make people respond a particular way to my application. On this note, I have decided to work with the colours green/blue. GREEN, NATURAL, FRESH – New start? I thought the first thing to do was to mind map some possible ideas, rather than do this by writing down my ideas or physically drawing them out, I thought I would look into a new piece of software to give my mind map a more professional look. By using a particular piece of kit to design it rather than using current suites or software I have, I thought it would not only give me nicer template designs but it would optimise my results as the program would have been developed for one reason in mind. 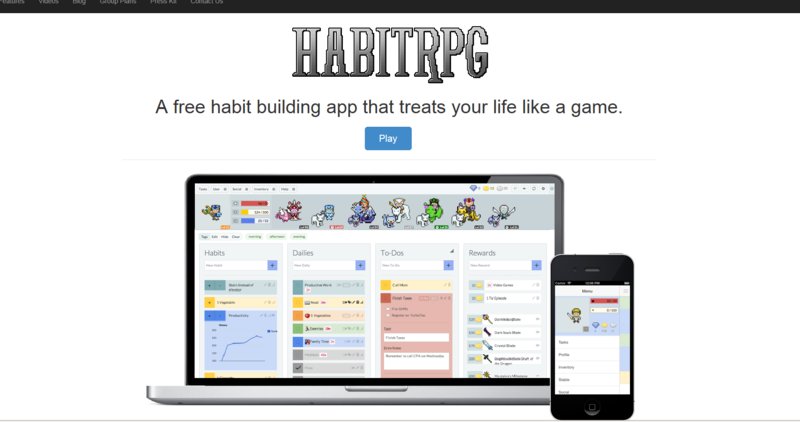 Habit RPG is an online application which allows you to gamifiy habits which allows you to gamify everything you do in life. It is effective because it not only offers rewards but puts consequences in place so that you feel like you need to keep checking the page and updating with the correct information, but also that you are trying your hardest to achieve. You are rewarded with experience points, which are given to you whenever you complete a task and as a result it allows you to level up over time. You are able to customise your character which really does help when applying yourself to the application as it made it more personalised for myself. Being able to use this on both my mobile device and my computer meant that I had no excuse from using the app and allowed me to use it while out and about, and once a task had been complete I was able to check it off. This app allows you to do many things such as see your progress and share with the world. This app is aimed at achievers and socializers by the use of particular mechanics such as achievements and utilising social media to share scores or achievements. You can see how many days you have been smoke free, you can track how many cigarettes you have avoided and can see the amount of money and time you have saved. This can be very motivational and I think the app would be very effective for those who are wanting to quit. I am currently quitting smoking myself and feel like I follow a very similar process which works for me, which is also shown on the app for example I calculate how many cigarettes I have missed and I sum up the amount of money I have saved as a result., so maybe this app would help gamify the process for someone like myself to follow through. Pain squad is an app aimed at young patients who are suffering from cancer and are going through treatment. The app gives the children the opportunity to voice their experience through the app by giving them a way of monitoring the pain, its simple and easy to navigate through and seems to do its job well. It gives the individuals videos to help keep them motivated in beating the pain, allowing them to upgrade to a higher rank keeping people motivated in posting on the app. The app is being used in many hospitals across Canada and has seen to be engaging and a effective solution to what may have been an issue for many. It gives the doctor to see the issue from the child’s point of view allowing them to respond more effectively. The next building in the works is located down hulls Silver Street and is what currently, I believe, is the KFM building, right next to the Garbos Bar and Grill. I have yet to take any photographs of my own for this building but I will be taking these tomorrow so they will be uploaded within my next post. I have tried to gather my own research using the internet to see what was previously within this venue but sadly I have been unable to find any information in regards to this so tomorrow I hope to visit the History museum to help clear this up. For now, I thought I would begin designing the basics of the building because these have been around since before the 1960’s so these would feature very similar in the buildings design. 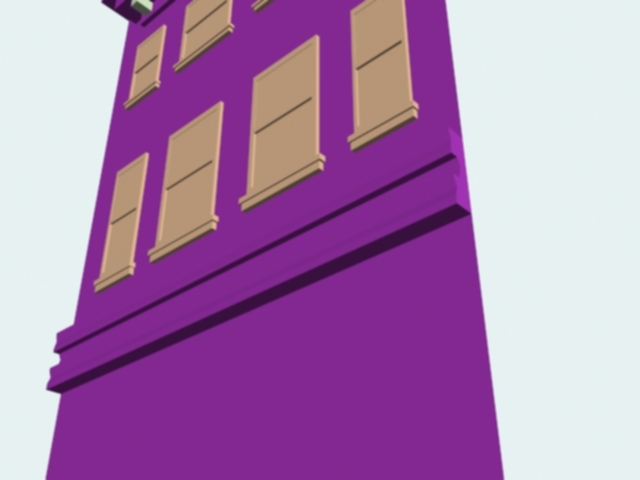 This is where I stand currently with the modelling for my building. After visiting the history centre, I hope I will have a better idea of what the shop face will look like, if not then I will have to improvise by using what it looks like currently as a guide. 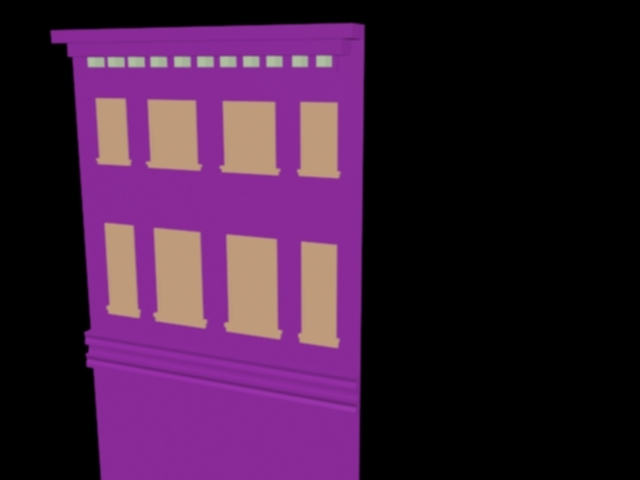 The building at the moment is around 1,200 polys, I hope that I can keep the figure low so it works better within engine. 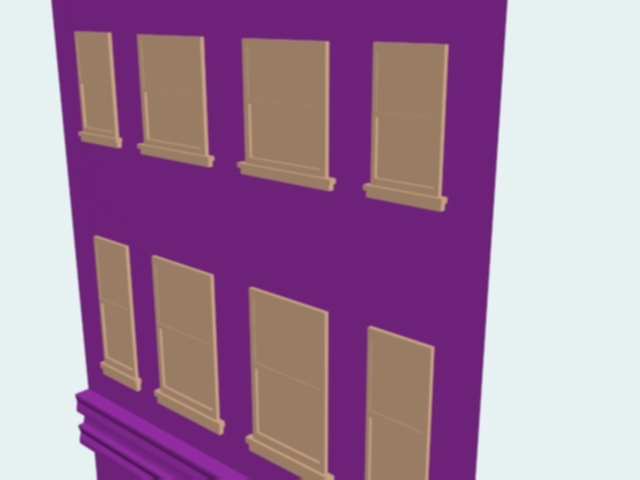 The design is rather simple, similar to the kardomah building I did for whitefriargate so the techniques are all the same, only thing I did different is save a lot of time by just copying the windows and scaling them accordingly. The model is snapped to grid with the pivot set correctly and is the correct height and width to my current knowledge. 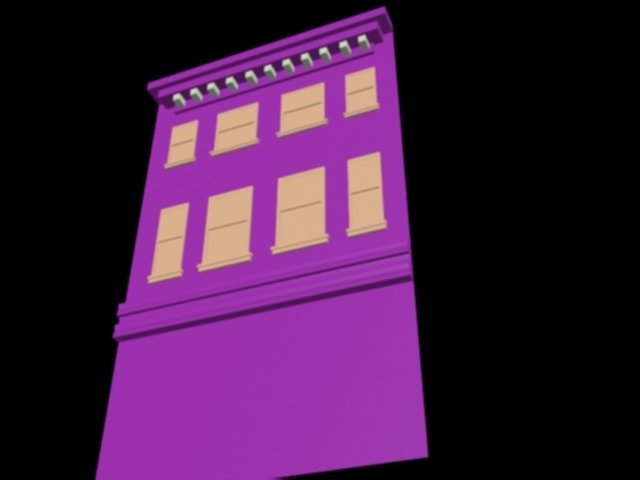 I hope to have the building finished in regards to the modelling by the end of the week, then I can spend reading week having it textured. Industry standard – What is expected and how can I improve?